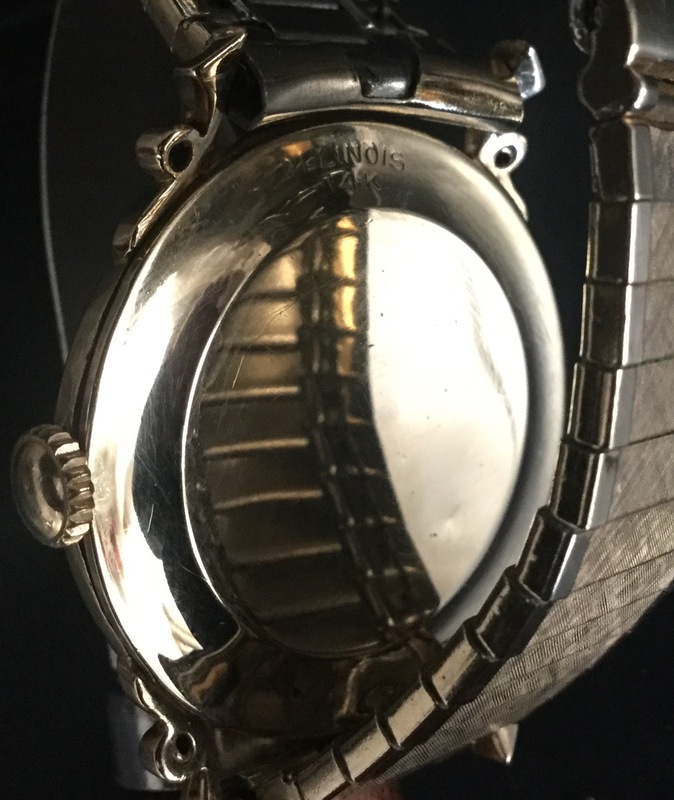 This is an ultra rare Hamilton-Illinois model watch from the mid-1950s Mid-Century Modern line of watches offered for sale by the Hamilton Watch Company. It is called the GOLDEN MALE A and only three of these models are known to exist. 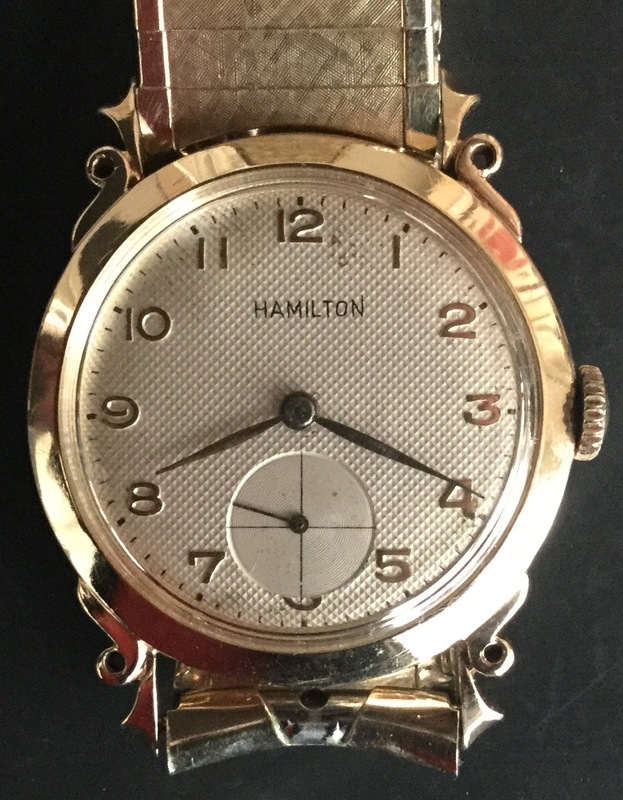 In fact, this solid gold model was not known to exist until very recently and is surprising as this Hamilton line of watches were suppose to be bargain offerings . 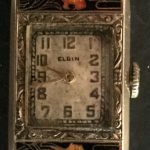 In effect it is the Holy Grail of their Hamilton-Illinois watch line. 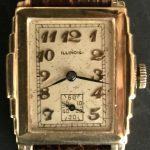 It has an excellent YG case that is signed “Illinois 14k” on its case back. 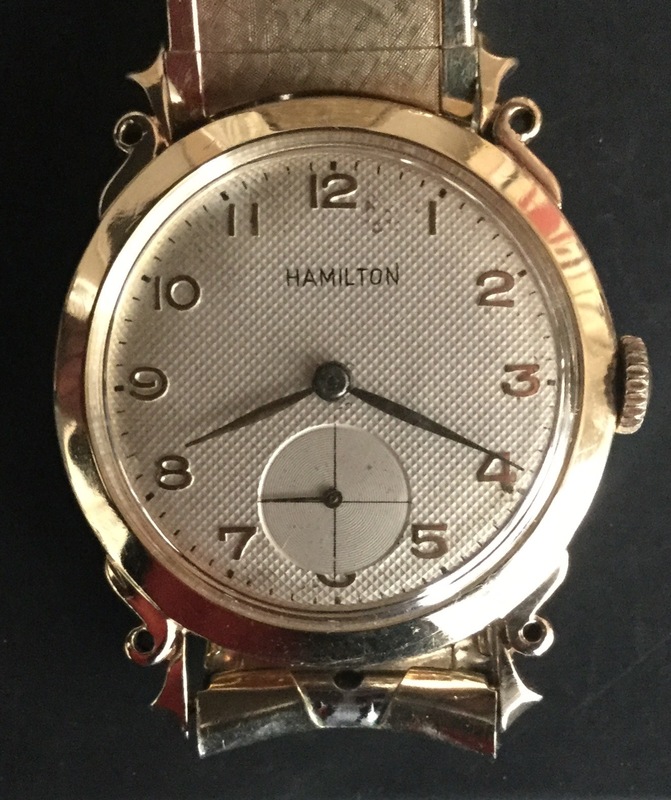 Its excellent dial is signed “ Hamilton “. 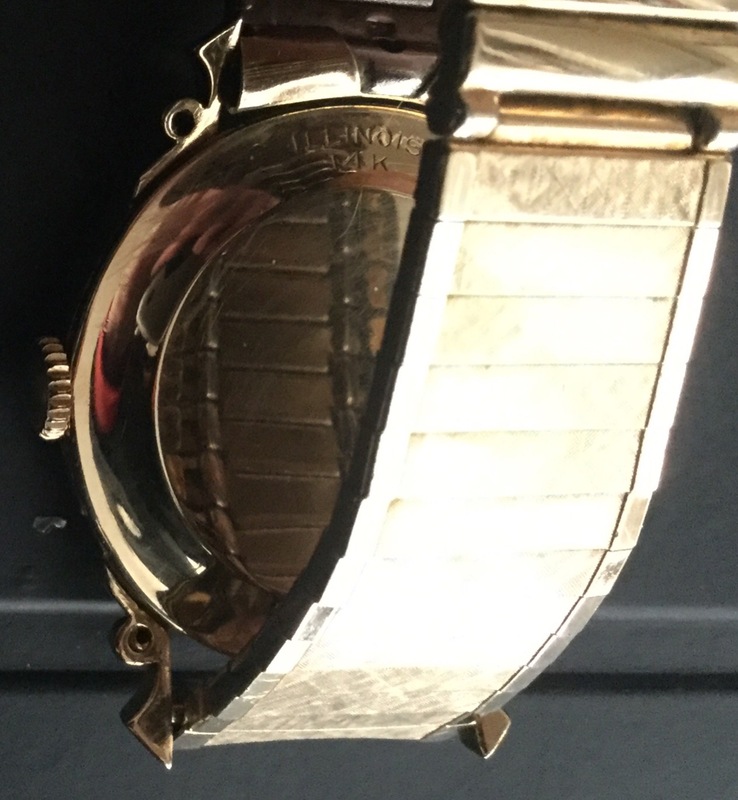 Its 17j Swiss movement is running well and is guaranteed for one year plus ten days. 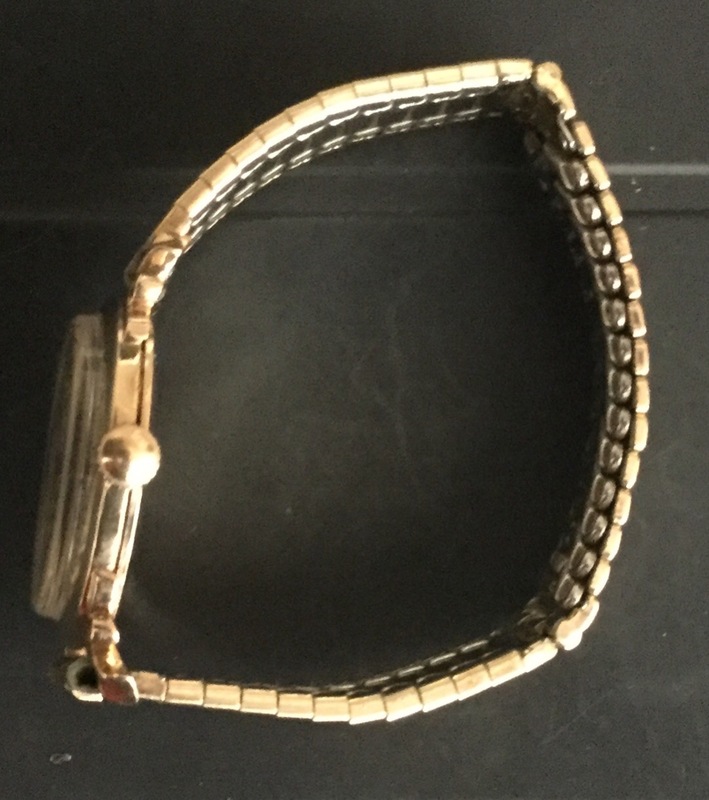 It appears to have its original metal expansion bracelet that is also in excellent condition. 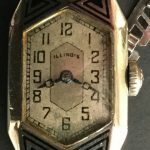 Reference: THE ILLINOIS WATCH & ITS HAMILTON YEARS: THE FINALE OF A GREAT AMERICAN WATCH COMPANY: Volume 4, Chapter 11, pp 1339-1342.